Formed in the early 1960s the Maytals are pivotal to the development of reggae and are credited with naming the whole genre with their record, Do The Reggay. Their initial success came in the early 1960s with a string of popular singles, but it was only in Jamaica that they had hits – they found little or no audience further afield. When Toots Hibbert was jailed in 1965 on what he claimed were trumped up charges, the other two members of the group, 'Jerry' Matthias and Raleigh Gordon waited for the two years until his release, so that their band could reform. 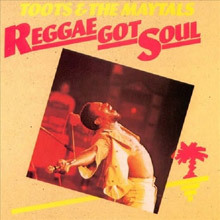 It was "Monkey Man" in 1970 that was just billed as The Maytals which got them noticed outside of Jamaica when it became a hit in Britain; it can be found on Reggae Greats - Toots & The Maytals, along with "Reggae Got Soul" and "Pressure Drop". "54-46 That's My Number", a reggae classic, as well as Hibbert's prison number, became the first record to get the band noticed outside Jamaica and it, along with all their many hit records, can be found on 54-56 Was My Number – Anthology 1964-2000. 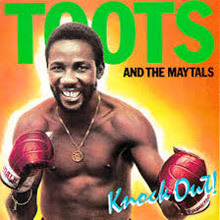 But Toots and the Maytals are much more than just a singles band, as can be heard on In The Dark, Funky Kingston and their 1980 Live album. One of their best tracks, "Pressure Drop", is featured on the soundtrack to the film The Harder They Come. Frederick "Toots" Hibbert, Nathaniel "Jerry" Matthias, and Raleigh Gordon, all natives of Kingston, formed in the early '60s when ska was hot. Hibbert's soulful style led him to be compared to Otis Redding. They first recorded with producer Clement "Coxsone" Dodd and the resulting album, Hallelujah, offered a blend of gospel-style vocals and soul sung to a horn-driven Jamaican beat. They were popular from the start, but after recording a few sides with Studio One, they left Dodd in favor of Prince Buster. With him, they soon gained a bigger Jamaican following and also became popular in Great Britain. The Maytals began working with Byron Lee in 1966. Hits from this era include "Dog War," "Daddy," and "Broadway Jungle". That year Lee & His Dragonaires backed The Maytals at the premiere Jamaican Festival Song Competition. Their song, "Bam Bam,"
won the contest and began a rapid ascent to real stardom. Occasionally, The Maytals would record with other producers, who, perhaps to keep from having to pay royalties, would put different band names on the labels such as "the Vikings", "the Royals", and "the Flames". The Maytals were reaching the height of their popularity toward the end of 1966 when Hibbert was arrested for smoking and possessing ganja and was sent to prison for 18 months. Fortunately, the other two Maytals, who were best friends with Hibbert and realized that they could not possibly re-create their unique sound with another frontman, waited for him. When Hibbert was released, the band started working with legendary producer Leslie Kong. This was a time of transition in Jamaican popular music, and ska was being replaced by the angry, violent music of Rude Boys, and this in turn was becoming reggae. The Maytals changed accordingly, but still kept that soul and gospel-influenced sound that made them unique. While in prison, Hibbert had honed his songwriting skills. Their first Kong single, "54-46 That's My Number," a reference to Hibbert's prison number, recounted his experiences and suggested that he was jailed on a trumped-up charge because he was a Rastafarian. It became a huge hit in both Jamaica and England and has since become a rocksteady standard. Other major songs from this time include the scathingly funny "Monkey Man," and "Sweet and Dandy," which provided The Maytals with a second win at the 1969 Festival Song Competition. One of their all-time great hits, "Pressure Drop," was from the soundtrack of the definitive reggae film, The Harder They Come. By 1971, they had not only become the biggest act on the island, they were also (thanks to signing with Chris Blackwell's Island Records) international stars. Then Leslie Kong died. They moved on to producer Byron Lee, and though the hits continued, things began to slow down. It was Lee who renamed them Toots & the Maytals. Hibbert and the group broke up in 1981. From there, Hibbert began working with producers Sly Dunbar and Robbie Shakespeare. He had international success throughout the '80s and created a new Maytals in the early '90s, continuing to tour the world with them. A major-label comeback, 2004's True Love, found Hibbert signed to V2. Light Your Light followed in 2007. 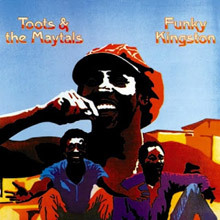 Toots &amp; the Maytals' first LP for Chris Blackwell was originally released in the early '70s, and it includes solid sides like "Pomp and Pride," a whacked-out restructuring of Richard Berry's "Louie, Louie," and the wonderful title track, "Funky Kingston." Blackwell reissued a bulked-up version of Funky Kingston in the mid-'70s on his Mango subsidiary, adding in the immortal "Pressure Drop," the brilliant "Time Tough," and a reimagining of John Denver's "Country Roads" (simply called "Country Road"), to make a much better and stronger set. Among his landmark releases, this album wasn't quite as magnificent as Funky Kingston, but still contained plenty of explosive numbers and Otis Redding-influenced leads from Toots Hibbert. 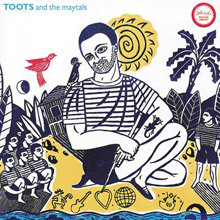 I'm a big fan of Toots and the Maytals and this is by a wide margin my favorite session by them. Anchored around the mellow groove of "Get Up, Stand Up" (not to be confused with the much more popular Marley tune- this one is completely different) this session also includes the standout tracks "Feel Free", "No Difference Here", "Rhythm Down Low" and several others, all grounded in a great horn section and Toots inimitable vocal style. Anyone who had the pleasure of catching Toots and the Maytals live in the '70s or '80s will attest to the fact that they didn't hesitate to go that extra mile on stage. Without question, they had one of reggae and ska's finest live shows -- in fact, you could say that singer/leader Toots Hibbert was as tireless a showman as James Brown or George Clinton. The band's vitality is beautifully captured by this superb album, which came out in 1980 and documents a show at the Hammersmith Palais. True to form, Hibbert spares no passion on performances of hits that range from "Funky Kingston," "Pressure Drop," and "Monkey Man," to "Get Up, Stand Up" (not to be confused with Bob Marley's song), "54-46, That's My Number," and "Time Tough." 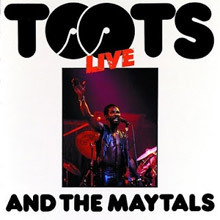 Thankfully, this album isn't the only documentation of a Toots and the Maytals show -- the Genes CD An Hour Live (which was recorded live at the Reggae Sunsplash Festival in 1982) is also a gem. While it may not pack the wallop of earlier efforts like Funky Kingston or even Reggae Got Soul, this 1981 release is a thoroughly enjoyable slice of crossover reggae. As always, lead singer Toots Hibbert's vocals are warm and satisfying, and the arrangements and production are clean and crisp without ever sounding slick. Most importantly, though, the songs are uniformly strong. Knock Out! is a great example of the type of excellent pop reggae that was being recorded in the early '80s, before being largely abandoned for a more homogenized, polished sound. The album kicks off with the roots-inflected "Careless Ethiopians," a plea to Rastas who have gone astray. The Rasta-conscious themes continue on the slow groove of "Never Get Weary" and the rollicking "Revival Time." Most of the album, though, is given over to more romantic subject matter. In fact, the remaining six tracks are all love songs in one form or another. The highlight of these is the country-inflected "Beautiful Woman," featuring pedal steel guitar. Elsewhere, Hibbert reaffirms his love of Otis Redding-style Southern soul with the gorgeous "Missing You." Following the recording of the album, Hibbert and original Maytals Raleigh Gordon and Jerry Mathias parted company. Knock Out! stands as a fitting swan song for one of the all-time great reggae groups. Not to be missed. 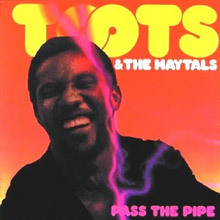 If one had to boil Toots &amp; the Maytals' career to a mere dozen songs, most casual fans would come up with something fairly close to the track listing of this compilation. Released by Island in 1984, Reggae Greats succinctly summed up the band's success during the reggae age and beyond. Picking up the Maytals' story with the release of Toots Hibbert from jail and the trio's comeback smash, "54-46 That's My Number," this collection duly proceeds to bounce around through the years. There's a further clutch of classics from the early reggae age, including their Independence Festival song winner "Sweet &amp; Dandy." With a group as prolific as the Maytals, led by a singer whose career is as long-running as Toots Hibbert's, few compilations will come away unscathed by fans and critics alike, least of all those that purport to be something more than a simple best-of collection. 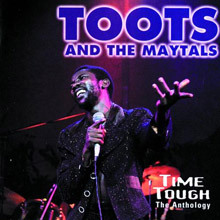 Time Tough: The Anthology is no exception, for even with two discs and 41 tracks the set can only scratch the surface of Toots & the Maytals' canon. The biggest complaint comes straight off the bat, with a mere five songs dedicated to the ska years. During this era, the Maytals unleashed a flood of fabulous singles, with their last, 1966's "Bam Bam," winning Jamaica's annual Festival Song Competition. Five tracks gives awfully short shrift to this instrumental early period in the band's career. Much to fans' regret, Toots Hibbert's incarceration for drug possession saw the group sidelined during the rocksteady era, but they returned with a ferocity as the reggae era began. Under the aegis of producer Leslie Kong, the trio were unstoppable, sending a deluge of stellar singles into the chart, of which ten of the best are gathered up here. Kong's death in 1971 barely slowed the group's output, while a deal with Island Records saw international release for their crucial Funky Kingston, In the Dark, and Reggae Got Soul albums, whose tracks fill much of the rest of disc one. The first half of disc two follows the group until its demise (they took their final bow together at Reggae Sunsplash in 1982), with the rest of the tracks selectively following Hibbert's solo career down to 1988. Thus, the compilation does provide an adequate overview, but weighted as it is toward the Kong and then the Island years, not necessarily a fair one. Still, most fans will be happy with the results, especially as the compilation includes a clutch of previously unissued songs. It still remains by far the most thorough collection available.